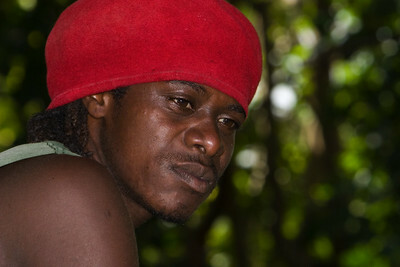 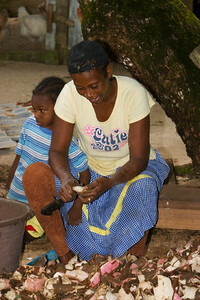 Garifuna family making cassava bread in Hopkins, Stann Creek, Belize. 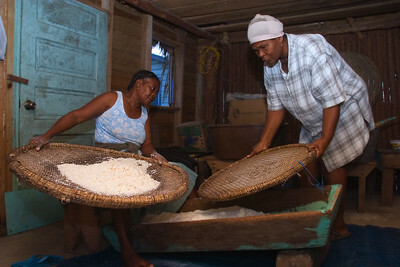 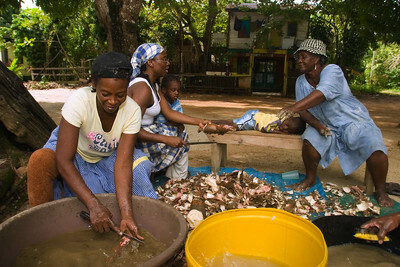 Garifuna women peeling cassava in preparation for the making of cassava bread. 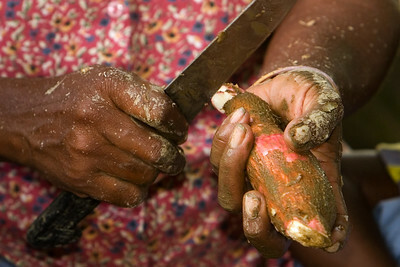 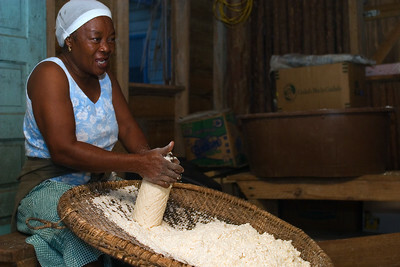 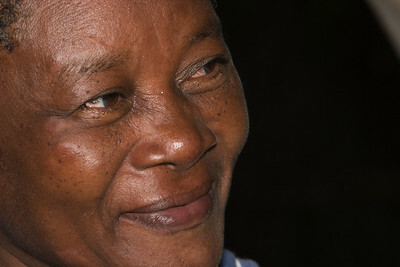 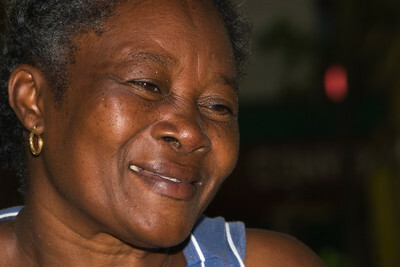 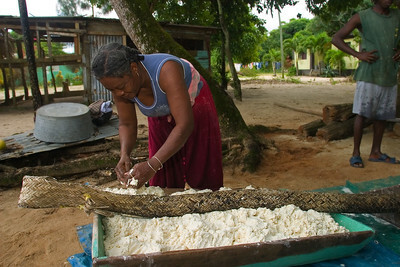 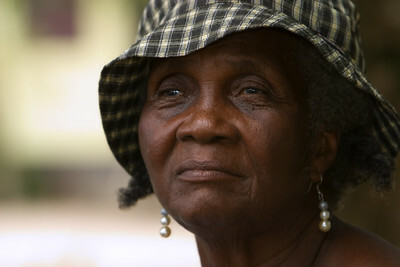 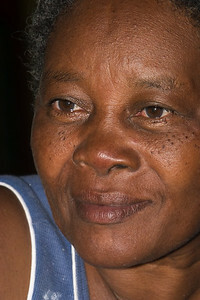 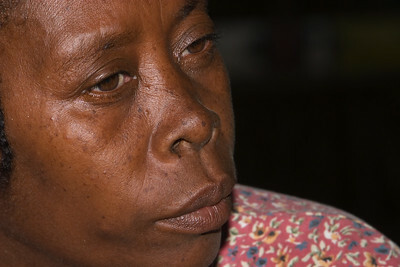 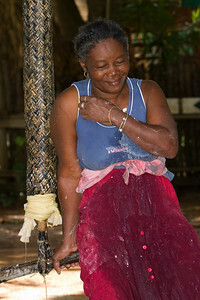 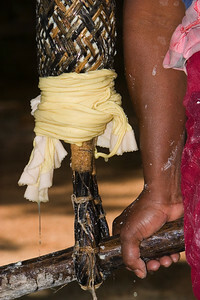 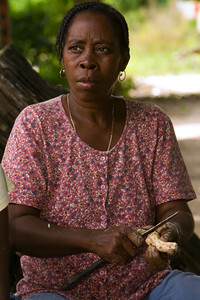 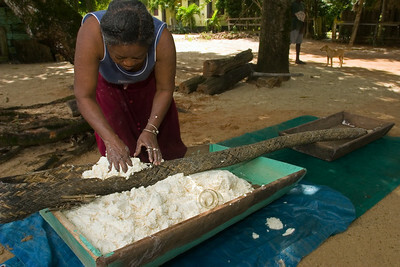 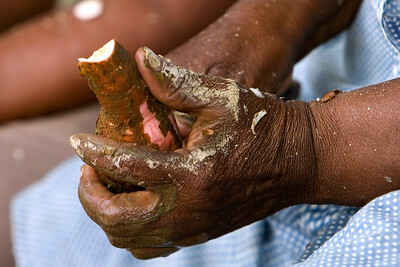 Garifuna woman peeling cassava in prepartion for the making of cassava bread. 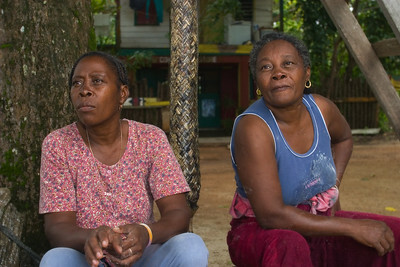 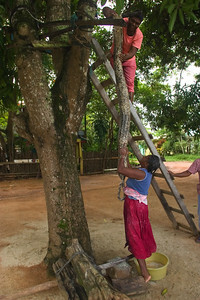 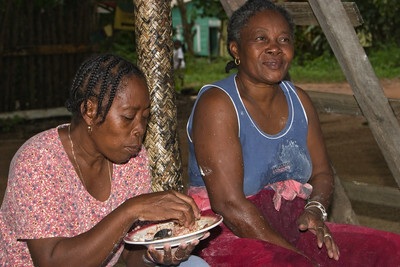 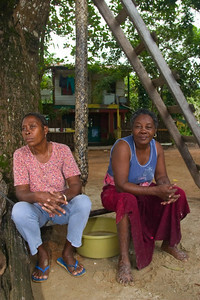 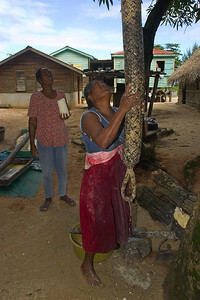 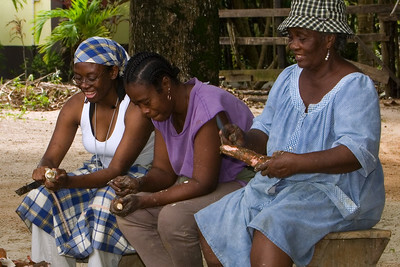 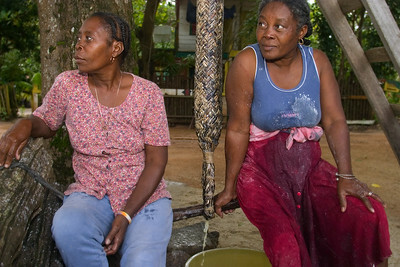 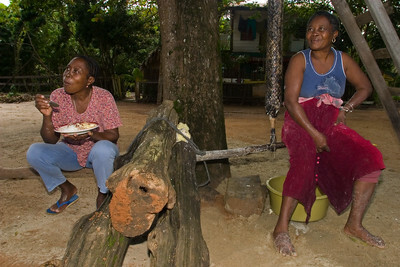 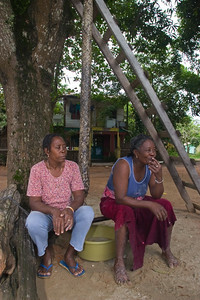 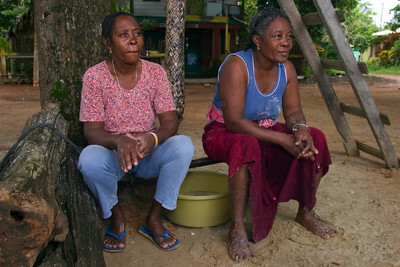 Garifuna women peeling cassava in preparation for making cassava bread. 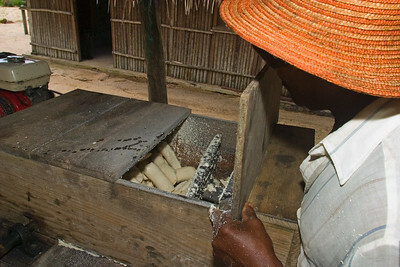 Grating peeled cassava using a mechanical grater. 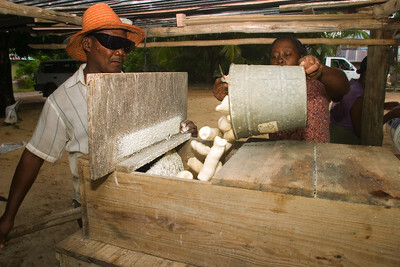 A motor engine turns the grater inside the wooden box. 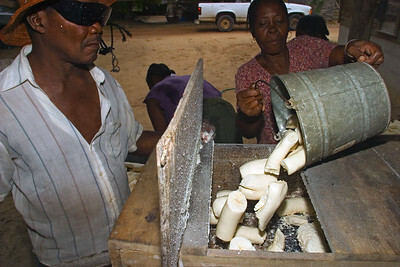 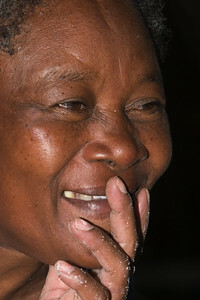 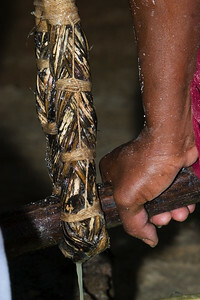 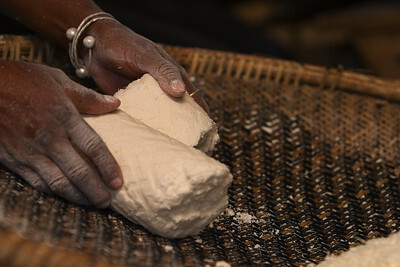 Peeled cassava is put in the opening at the top and then pushed with a handle into the grater. 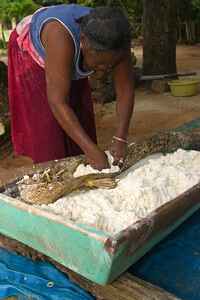 This is in preparation for the making of cassava bread. 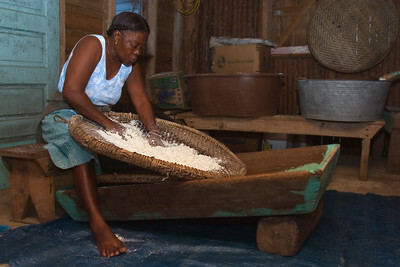 Breaking apart the dried grated cassava so as to be sifted ("ahibiha" in garifuna) on a hibisi (sifter) before it is baked to make cassava bread.